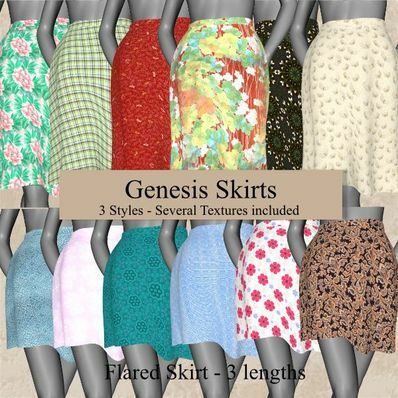 Skirts in 3 styles for Genesis for use in Daz Studio 4. One of the styles will go great with the oriental top. Thank you so much.